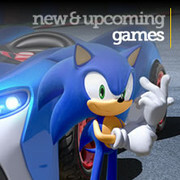 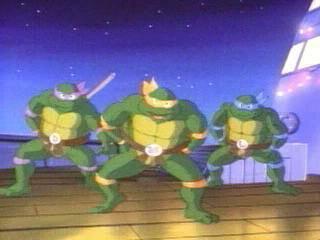 Description: This version of Teenage Mutant Ninja Turtles is the most distinctive from its MIRAGE comic origins. 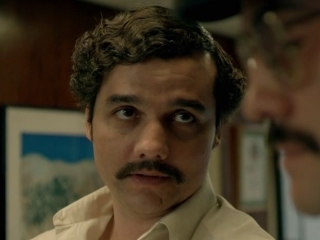 It thrived more on humor instead of a dark attitude, especially in earlier seasons. 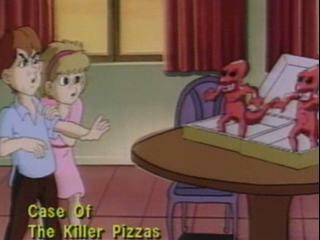 Its creativity and bizarre humor made it something in the late '80s and early '90s something that had never been done before, so it drew in fans and grew to syndication on USA's Cartoon Express and new episodes would be aired weekends on CBS in late 1990. 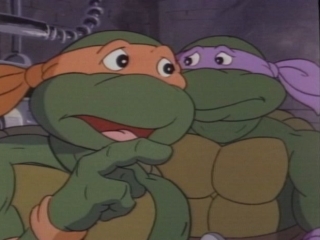 Four turtles fall into the sewers and are befriended by Hamato Yoshi, a Japanese man who fled from New York and had nowhere to live but in the sewers. 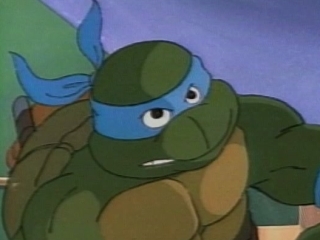 He was framed by his enemy, Oroku Saki, in a plot to kill the sensei. 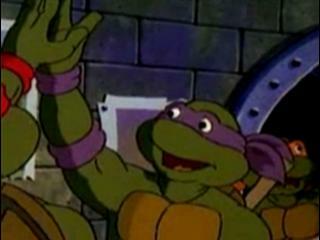 One day he sees a strange green glow which transforms the four turtles into human-like creatures. 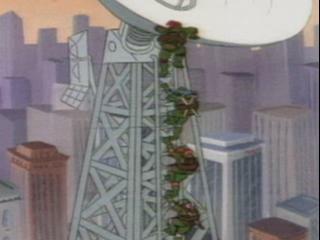 Hamato (now Master Splinter) changes into a giant rat from the green glow and teaches the turtles the skills of the ninja as they team up with Channel 6 news reporter April O'Neil to battle against Yoshi's archenemy Shredder and Krang, an alien warlord from Dimension X. 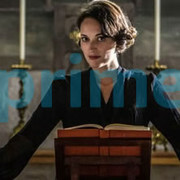 There would be other enemies as well. 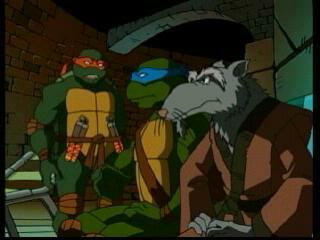 Season 3 gave new opportunities outside the Shredder storyline, such as Don Turtelli, the Rat King, and Leatherhead. 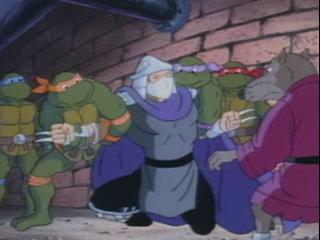 Especially in later CBS episodes, where there were many episodes without the Turtles battling Shredder, enemies such as Pinky McFingers and other minor recurring villains would fight the Turtles as well. 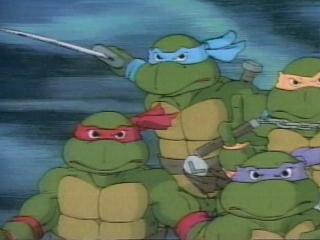 After Season 7, the show took a dark turn towards the action storyline that made it more of a mainstream American adventure cartoon as Dregg and other characters were created and gave the Turtles quite a zealous collection of adventures before they finally faded out in 1996.In the U.K, TMNT was broadcast under the name Teenage Mutant Hero Turtles due to fears that the "ninja" part of the logo was too extreme a word to use on British television at the time. 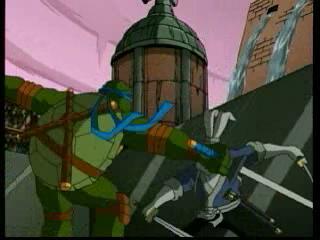 Teenage Mutant Ninja Turtles: Croc Attack!